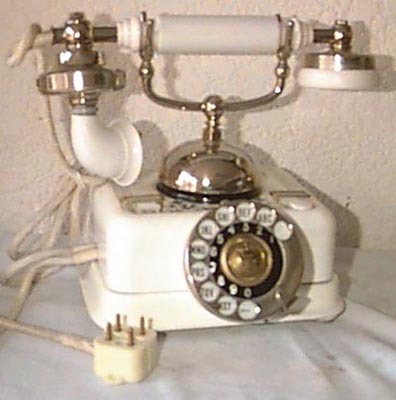 French phone in white. It is a very pretty bright white with nickel parts. It stands 8-1/2" tall. The base measures 7-1/2"x6-1/4". The handset length is 10". Comes with a 4 prong plug, but it can have a mod plug put on it..
With original decalling showing cherubs.